What I look for in comedies are plenty of laughters, lots of laugh out loud moments and essentially a film that is funny right from the get go. 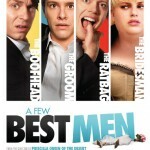 It is good news to announce that “A Few Best Men” delivers exactly and in doing so, it even manages to converge both British and Australian humour packaged into a highly hilarious film. Sure, the film takes plenty of situation comic moments from a much bigger film (“Hangover”) including the use of a certain animal as a central gag and a group guys going crazy before a wedding. However, “A Few Best Men” manages to stay fresh, wonderful comic timing and chemistry between British and Australian co-stars and a beautiful landscape of the very best shots of Blue Mountain that one will possibly ever see. Director Stephan Elliott should be proud of this achievement as this is most certainly a massive fun ride. Xavier Samuel headlines the film as the Britsh guy about to marry his Australian sweetheart (played by Laura Brent). Samuel manages to put in an efficient performance and carries the film like a rock. However, Samuel is easily upstaged by his comic counterparts namely Kris Marshall and Kevin Bishop, In fact, it is Marshall and Bishop combo of comic antics that drives the film forward and providing the audience with plenty to laugh about. Laura Brent who plays the bride to be, is beautiful to look at, without adding much to her role. While, Jonathan Biggins is stoically funny as the retiring senator and father of the bride. As for the much missed, Olivia Newton-John who plays the mother of the bride, simply oozes with screen presences and is always a joy to watch. However, the highlight moment of the film comes in the form of a hilarious extended cameo from Steve Le Marquand whose drug dealer role simply steals the show with an over-the top performance. Few remakes stand up well with its predecessor, but the latest “Dredd” goes one better by being bloodier, more violent, more shocking and more relevant. 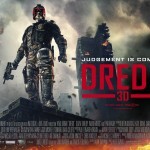 With the recent high profile remake failure of “Total Recall”, the expectations for Stallone’s “Judge Dredd” remake did not come with much expectation. 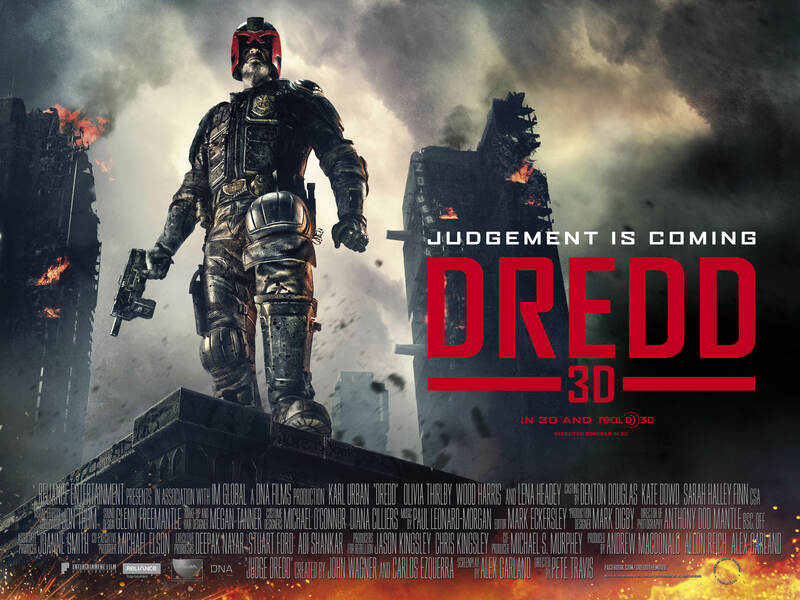 However, “Dredd”, the $45 million British production, fits the bill; stand up in its own right by being grittier, bloodier and suitably engaging throughout. Karl Urban continues his “Doom” action form is almost Stallone-like as the title character and the film is enhanced by some exquisite bloody effects. The slashing of throats, arms and legs combines well with the skinned bodies and death defining bullet shots, all helps to make “Dredd” a true action blockbuster for all. Screenwriter Alex Garland who previous wrote the heavy and complicated “Never Let Me Go”, goes simpler this time around and let the film focus on what it does best – action. Relatively newcomer Karl Urban (“Doom”) dons the helmet for the entire movie. Acting behind a helmet or mask that covers your eyes is never easy, think Tom Hardy as Bane in “The Dark Knight Rises”. However, Urban oozes in physical presences and his coarse voice combines well with his ironic smile making him a perfect action hero to follow. There are some scenes where Urban seems to be mimicking Stallone’s stoic style, but as a whole, it is exactly what you call a highly efficient performance. Another newcomer comes in the form of Olivia Thirlby (“Nobody Walks”) who reminds us of a young Milla Jovovich. There is something about the young heroine that makes her edgy, femme fatal and yet there is a sense of vulnerability underneath her. Not unlike Milla, Thirlby is tough and being the one of the two judges without a helmet, she carries the film particularly well, especially the numerous reaction after each brutal and totally gore-like killings. As villain, Lean Headey (“300”) is absolutely menacing and provides the film with the most complicated and flawed character to boot. It is a shame that not more of her past is being shown, as there are layers beneath her eyes which buries those unforgettable whoring years that made her essentially cold-blooded and driven. Director Peter Travis (“Vantage Point”) uses shock, blood and violence to captivate the audience attention from start to finish. This is done particularly well to the maximum effect, through some startling and creative death designs and plenty of well-timed slow-mo effects. Slow motion can easily be overused and becomes all the most annoying, but rather in this film, it signals the terrible effects of drugs that prolong the agony in the process of falling to death. The scene near the end is suitably ironic as Headey met her fate. A feature of Luc Besson’s is that he is never shy of portraying woman as powerful, strong willed and independent. 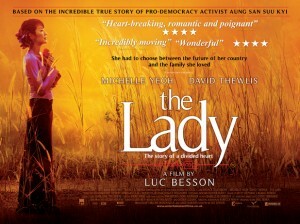 Here in The Lady, Besson goes half-baked and skimmed the film real central issue of freedom and opted for a love story. To say Michelle Yeoh’s performance as good is rather underrated as she oozes with fine screen presence and created a character that is not only able to relate to the audience, but also carries the film with strong willed temperament. The Lady ultimate is a film of unfulfilled potential, it wrongfully focuses on a love story, rather than how freedom is so crucial to the people of Burma. Michelle Yeoh brings her character to life and possesses an uncanny resemblance to the actual Aung San Suu Kyi. In fact Yeoh has aged well and in the process able to depict a person that is calm, collected, inspired and extremely strong willed mindset. There is no moment of doubt in the audience mind that Yeoh will not go through with what she believes in so strongly, despite the hardship and harsh moments along the way. It is probably Ms Yeoh’s best rounded performance in years. Likewise, her husband played by (David Thewlis) is extremely effective as the supportive partner and father of the two children. Although there is nothing flashy about the role, the manner he approached the character is a perfect complement to Yeoh’s determination.